In 1994, I was employed as the associate director of the Maine Principals' Association, doing communications and conference planning for a statewide nonprofit organization for educators. My job took me to the National Principals Public Relations Annual Conference that July. It was held in Washington, DC, a city I love, and I built some extra time into the trip for sightseeing. What I wanted most to do was visit the U.S. Holocaust Memorial Museum, which had opened in 1993. I cannot easily articulate my feelings about the Holocaust. They have been part of me since childhood. They have nothing to do with my immediate family background (my father served in the Navy at Iwo Jima in World War II) or anything I learned at school or through the media. Whatever the public consciousness of the Holocaust was in postwar America, I was oblivious to these horrors. And then I saw The Diary of Anne Frank when the movie was released in 1959. I did not want to leave the theater. I sat through the movie twice and would have watched it again, but my mother and sister had indulged me patiently enough that afternoon, and we left. The film jolted me into reading all manner of books about World War II in Europe, and about the Holocaust. Naturally, I knew that Poland loomed large in these events and that my family was from Poland, but I still knew nothing of the geography of the war. I read about Warsaw and Treblinka and Auschwitz and Theresienstadt, but I could not have located any of them on a map. Decades later, that July in Washington, I arrived at the Holocaust Museum well before opening. I wanted to be the first person in line, and I wanted to see everything. I read the signs at every exhibit, watched all the films, stared at the Zyklon-B cannisters, felt terrified to board the train car that would signify passage into the world of the concentration camps, felt sick at seeing the mountains of shoes representing so many lives lost to the Final Solution. I stayed at the museum until closing. The exhibit that held me the longest was the Tower of Faces, a three-story-high, corridor-long gallery of nearly a thousand pre-war photographs. I searched every face, craned my neck to see as high as possible, studied every image. I kept expecting to recognize people. At the same time, I kept telling myself that that expectation made no sense. I did not know where the photos were taken. They could have been from Germany, or Poland, or Czechoslovakia, or anywhere in eastern Europe. If I read a sign identifying the location, it meant nothing to me, and I didn't retain the information. But the experience was so riveting that I bought a postcard of the Tower and kept it on my refrigerator for years. I felt haunted every time I looked at it. Fast forward to November 1998. I was then working in the reference department of the Auburn (Maine) Public Library. (Yes, I've had a lot of different jobs.) 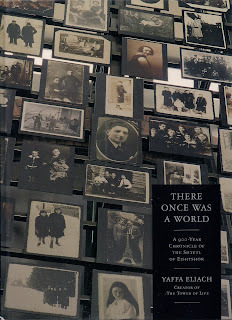 On a pleasantly slow afternoon, I was browsing at the latest issue of The New York Times Book Review, and there was a photo from the Tower of Faces, featured in a new book: There Once Was a World, by Yaffa Eliach, the woman who, as it turned out, had created the exhibit at the Holocaust Museum. Of course, I immediately ordered a copy of the book (even though the library was purchasing it too). Finally, I knew where the photos had originated—in a town known to its long-ago Jewish residents as "Eishyshok," Lithuania. It was known in Polish as "Ejszyszki" and in Lithuanian as "Eisiskes." But that had no meaning to me. At that point, I had been involved in genealogy for a couple of years. I was directing most of my effort to tracking down birth, marriage, and death information for the living generations of my very large family. Between the nine siblings in my father's family and the five in my mother's, my two Prokopowicz families had indeed gone forth and multiplied. I had nearly three dozen first cousins, and their offspring were probably double that number. Only after I had the current generations logged into a database did I begin to research my Polish grandparents. Beyond "Wilno," wherever that was exactly, I knew nothing of their origins. Slowly the details emerged. My cousin A. John Prokopowicz, a genealogist since the early 1980s, identified the Szczuczyn area as the home of my maternal grandparents, Aleksandr and Stefania. A passenger list placed my paternal grandmother near Radun. A handwritten transcript (written by whom, and when, is uncertain) recorded my grandfather Julian's parish as Radun and his birthplace as the village of Odwierniki a few miles north. Where his Prokopowicz family lived prior to Julian's birth, I do not know. Not in Radun parish, it seems, but likely in one nearby. Perhaps in the parish of Ossow, or Zyrmuny, or Bieniakonie, or Nacza. Perhaps in the parish of Ejszyszki. Before the war, this whole area was part of Poland. Before the war, people moved freely between Radun and Ejszyszki for business and pleasure. Though they now lie on opposite sides of the Lithuania-Belarus border, these towns are only 9 miles apart, and Odwierniki is midway between them. I do believe there is some psychic component to genealogy, some energy that guides us in our search for our ancestors. 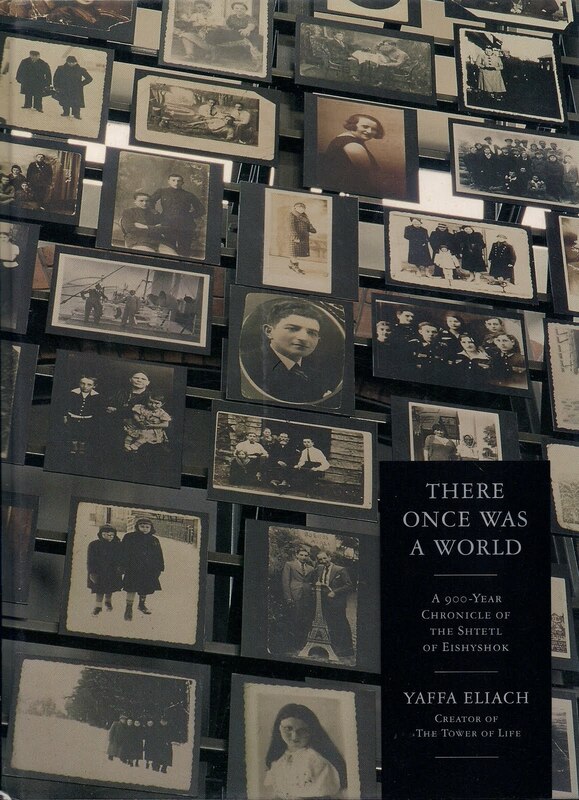 This I know for sure: My grandfather Julian was born in 1895 just 5 miles south of Ejszyszki, the town commemorated in the Holocaust Museum's Tower of Faces. Decades later, thousands of miles from Ejszyszki, lacking any knowledge of where my grandfather spent his early years, I fully expected to recognize people among those hundreds of photos—people who were complete strangers to me, but almost certainly known to him.